Crew will soon be out selling tickets for the best BBQ on the Western Shore. 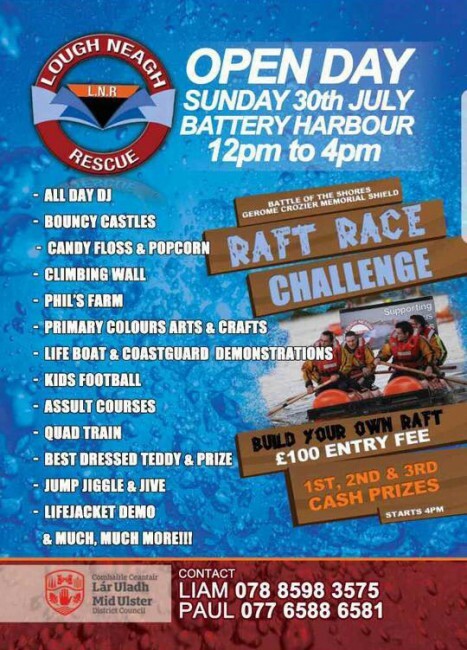 Sunday 30th July will see the Ardboe Station open day and the return of the annual LNR raft race! @ the Battery harbour. 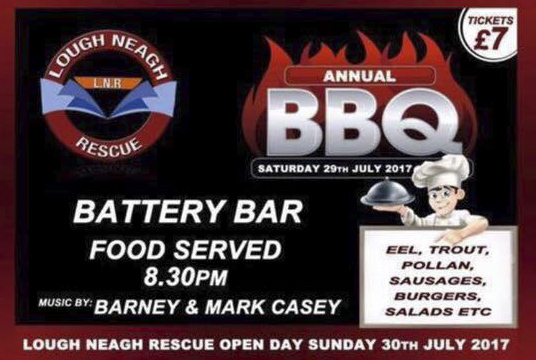 This is the highlight of the lough shore, let the battle commence will the McCourts or the Battery bar win? More details will follow within the next few weeks but for now get the thinking caps on as this will be a build your own raft race!